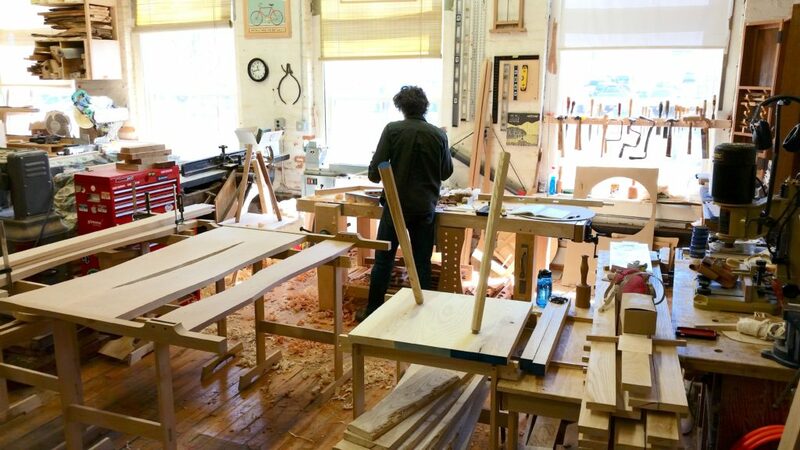 I stopped by Geoff McKonly Furniture last week to meet the owner and get a tour of his workspace. 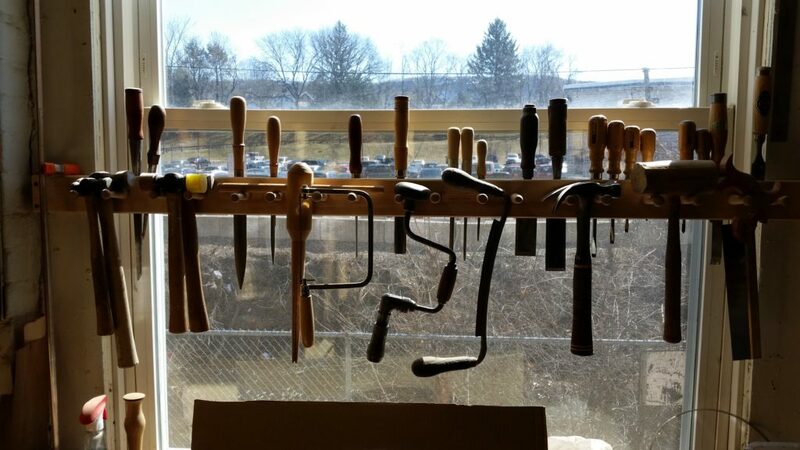 It reminded me of my grandfather’s basement workshop from many years ago. 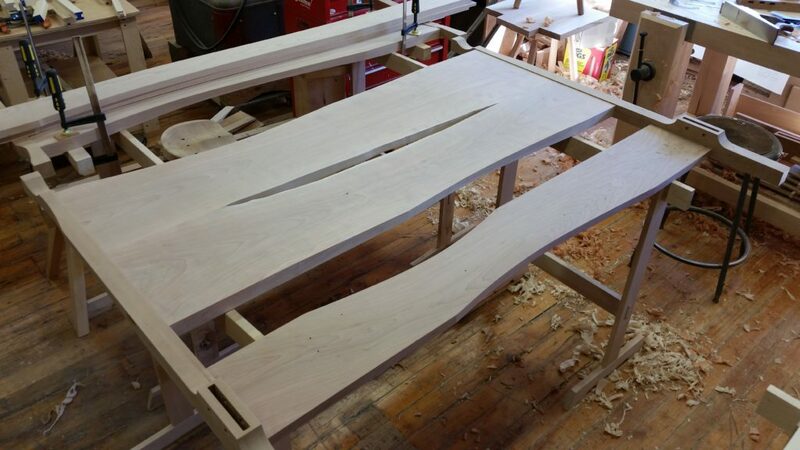 Geoff does beautiful work—I got to see two projects in process, one a table he is constructing for a show at the Delaware Water Gap, and the other is a bed. The bed’s headboard has a unique feature, a beautifully curved “crack” between two boards, in a departure from his original design. 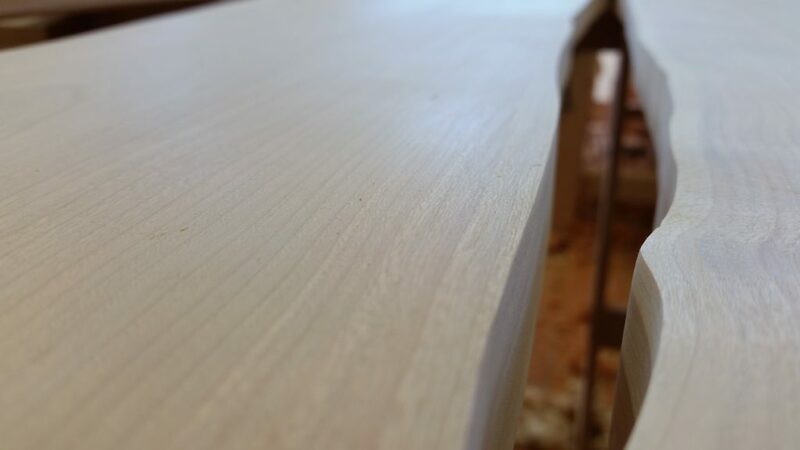 He like to bring features of the wood to the overall structure of a piece. Headboard of bed in progress. 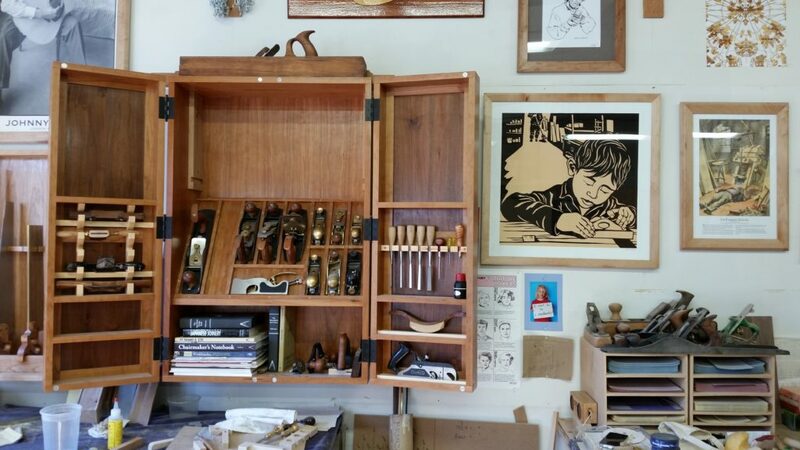 Geoff has been at One Cottage Street for a few years now, and before that he was designing and building boats for many years in Philadelphia. (I’m originally from the Philly area.) I noticed a lot of cleverly placed curves in his designs, and Geoff told me that comes from his time building boats. 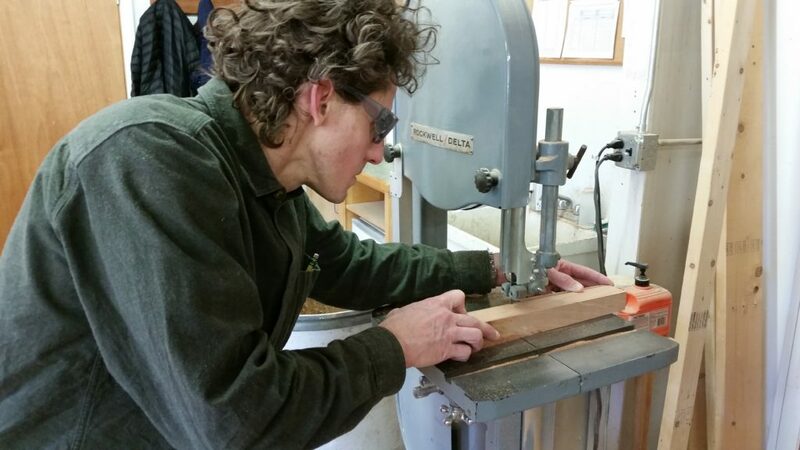 He also teaches workshops at the New England School for Woodworking, including one this weekend a building an Adirondack chair. I’d highly recommend Geoff if you are looking for finely crafted custom furniture.